monster mash | eat. play. sleep. 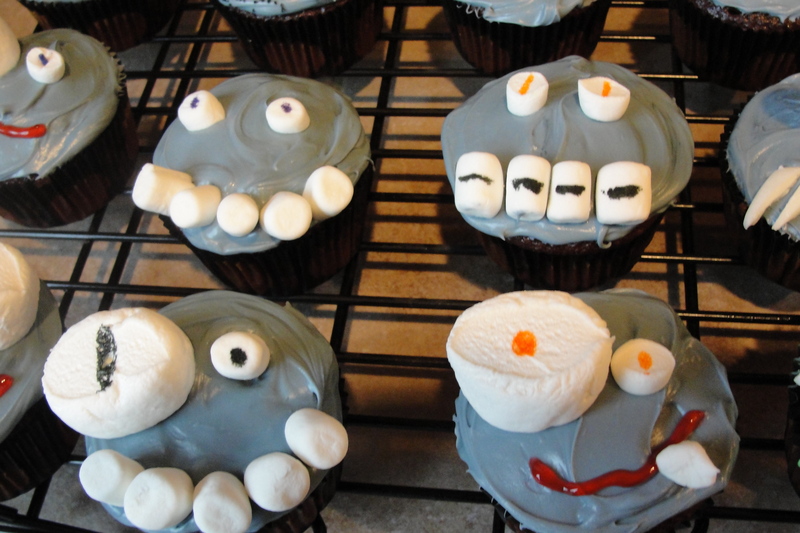 We’re heading to a Halloween party tomorrow, so I decided to bake some cupcakes (devil’s food, of course!) and decorate them, monster style using marshmallows, sprinkles, and my handy dandy food pens. 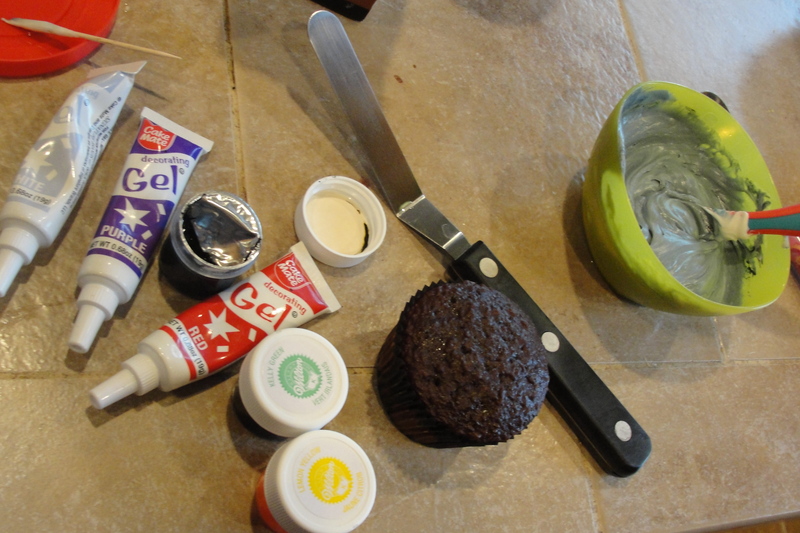 I *heart* cupcake decorating…very therapeutic! 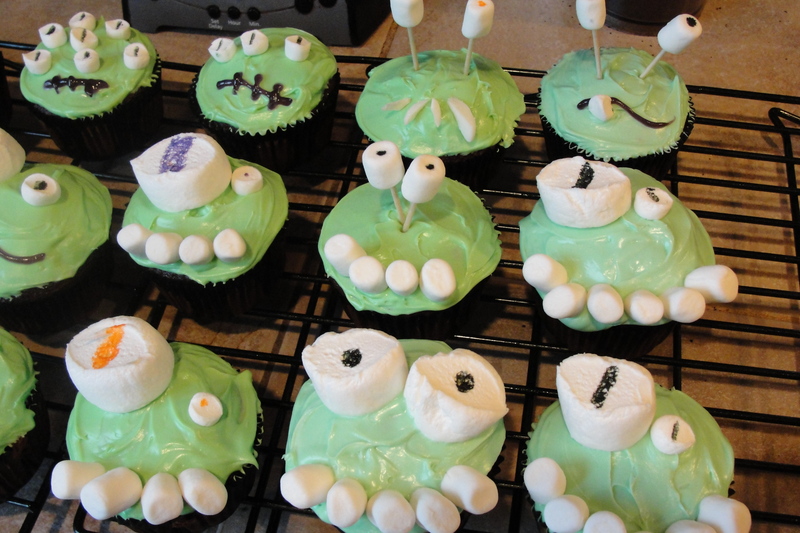 If you want to make your own monster cupcakes, check out Martha Stewart’s Cupcakes for some more great ideas.